This section focus on the structure of MV (1 kV to 60 kV) and LV (1 – 999 V) networks. The distribution utilities that have been studied in this report are very heterogeneous in size (they operate from 1 to 100 distribution networks – HV/MV substations) and in structure. 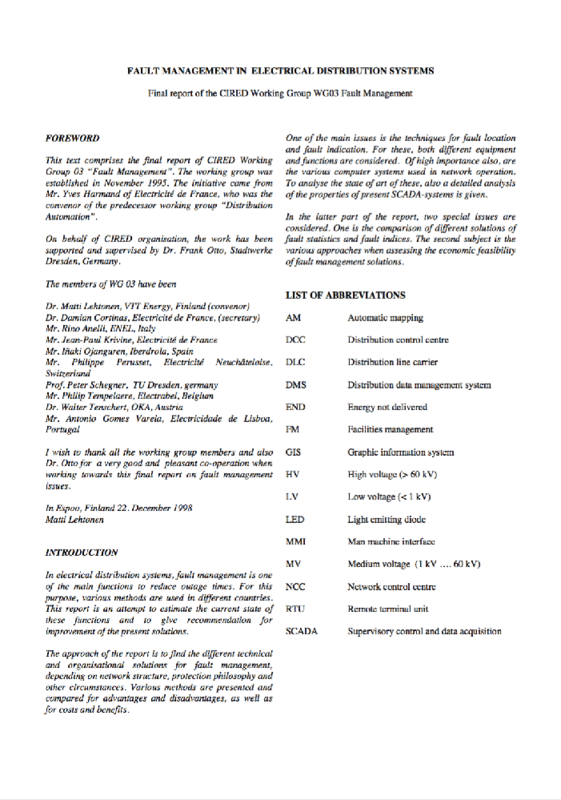 Nevertheless, the group has managed to produce a summary of network structures of all utilities that highlights the differences and the similarities between them. We will show only those characteristics that will be useful for the discussion of fault management. There is one major issue that differentiate the characteristics of a network – its urban or rural nature. Urban networks are usually short and underground, rural networks are usually long, but not necessarily overhead. In some parts of Germany and in Electrabel (Belgium) they are mostly underground, and we see a trend in all utilities to increase the part of underground in rural networks. Many characteristics of networks can be explained when considering the urban or rural feature. This document reflects the state of the art on network structures, and some changes might occur in the future. The structure of the MV networks is mainly meshable, so that feeders can be backfeed by adjacent lines. Urban networks are almost completely meshable, but that is not the case of rural networks for obvious reasons of cost. The percentage of rural networks that can be backfeed varies between 50% and 90% on the utilities studied. LV networks are much less meshable than MV networks. Usually only some urban networks can be backfeed. The percentage varies between 0% and 30%. MV and LV networks are almost always operated radially. No utility have plans to loop networks in the future. 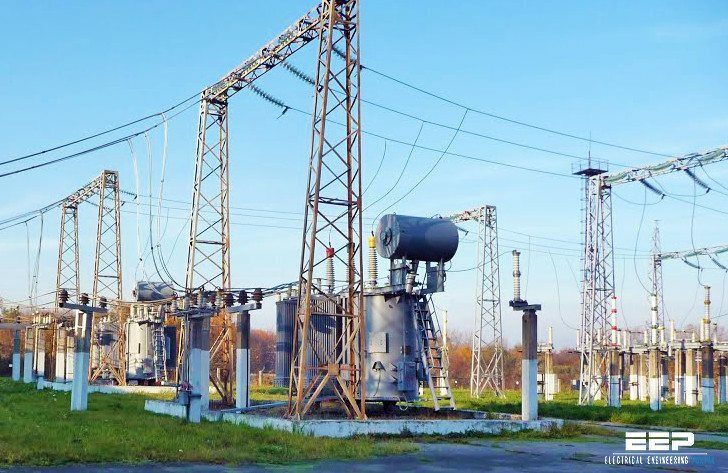 Primary substations (HV/MV substations) have generally from 1 to 4 power transformers. 2 transformers is the most typical value. The average number of MV feeders by substation varies between 4 and 20, most typical values being around 10. In Finland the number is decreasing, in order to diminish the maintenance costs. In Austria the number is increasing in order to cope with new demand. In EDF and ENEL the number is increasing in order to improve the quality of supply.